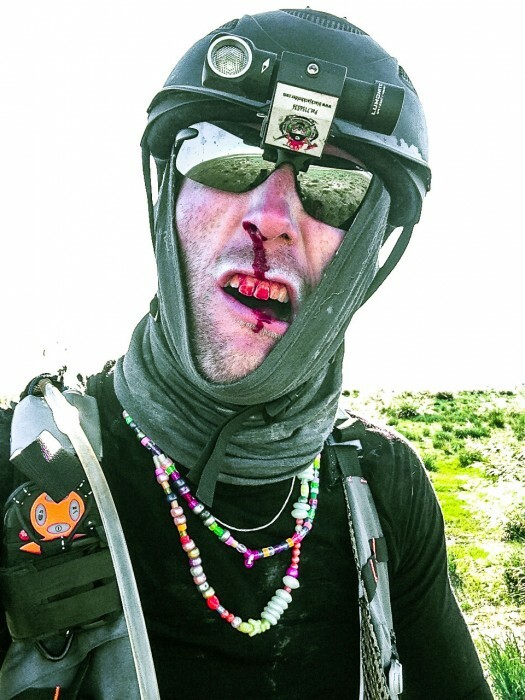 I was one of these scrappy, questionably-sane competitors in 2012, and this year I was offered the opportunity to return to the steppe and experience the race as a crew member, heading the Bloodwagon — essentially scraping broken riders off the dirt and performing search and rescues. 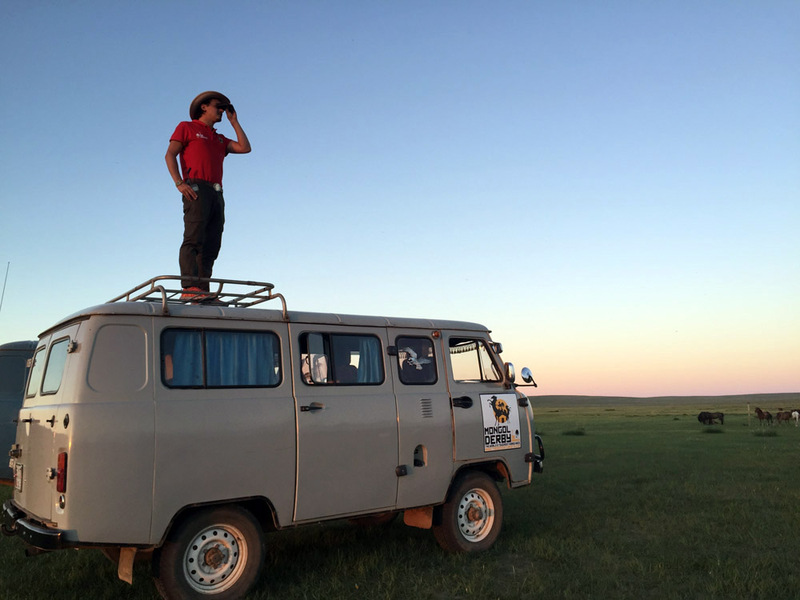 I spent two weeks aboard a Soviet-era, four-wheel-drive Furgon as riders galloped across the flat grassy steppe, evaded wild dogs, suffered through extreme heat, and navigated themselves (sometimes unsuccessfully) through the northern mountains. I witnessed them fall on their asses and pick themselves right back up, jumping back on strong-willed horses to carry on. It was wild seeing each rider’s journey throughout the race — and I most definitely had a flashback or two. While this group of international riders raced through arguably the hardest challenge of their lives, the other event managers and I faced our own challenges, saving riders when the crap hit the fan. Think vast bogs, densely forested mountains, flooded rivers — this makes for responding to SOS calls a challenge unto itself. 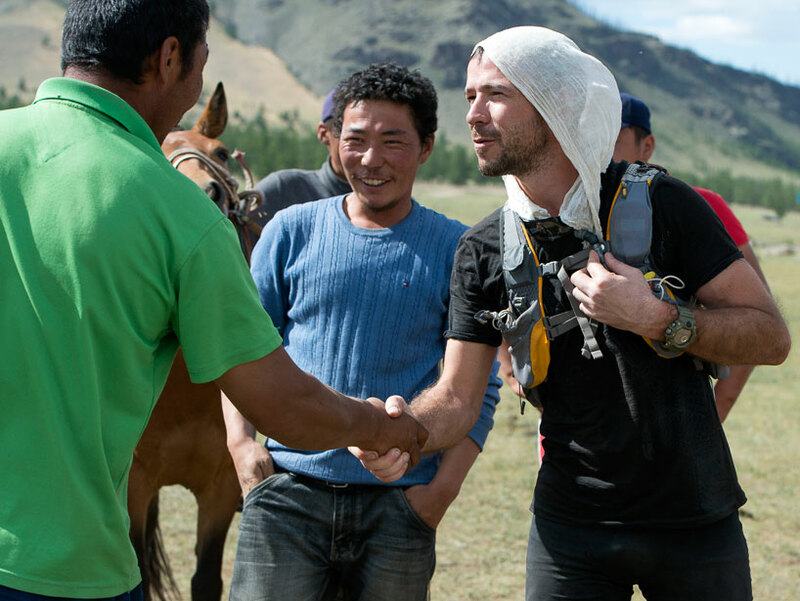 My most memorable SOS was the night I rescued an Australian rider from the top of a high mountain ridge. She had missed the narrow winding path that led down into the camp at the bottom of the canyon. 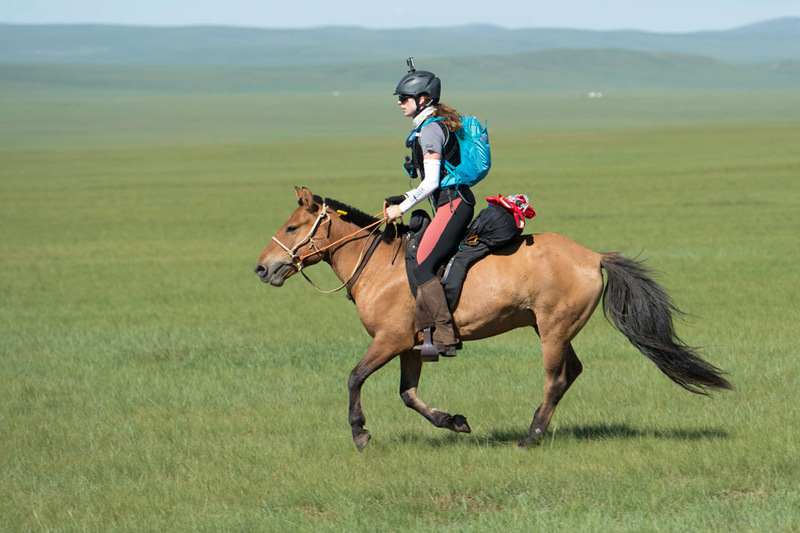 As the sun set and temperatures plummeted, she found herself riding past the 8:30 p.m. curfew with no place to camp and no herding families to stay with. 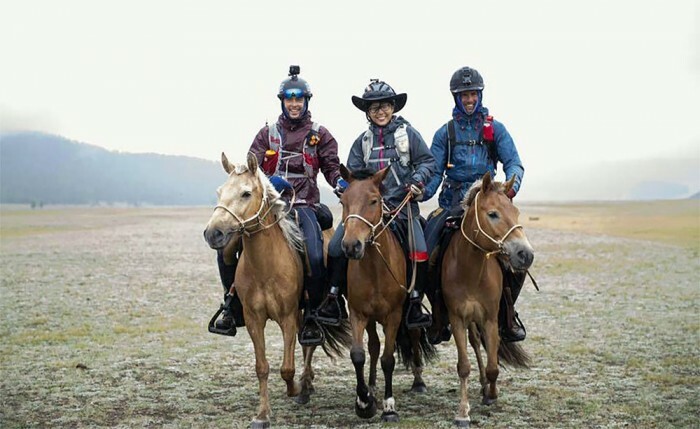 When the rider set off her SOS signal, my team and I loaded up and began the slow climb from the canyon floor. We spotted a small glimmer of light coming from her headlamp and although she was a bit shaken and slightly hypothermic, she was OK.
We got her into the warmth of the vehicle, but then we were left with the decision of what to do with her horse. 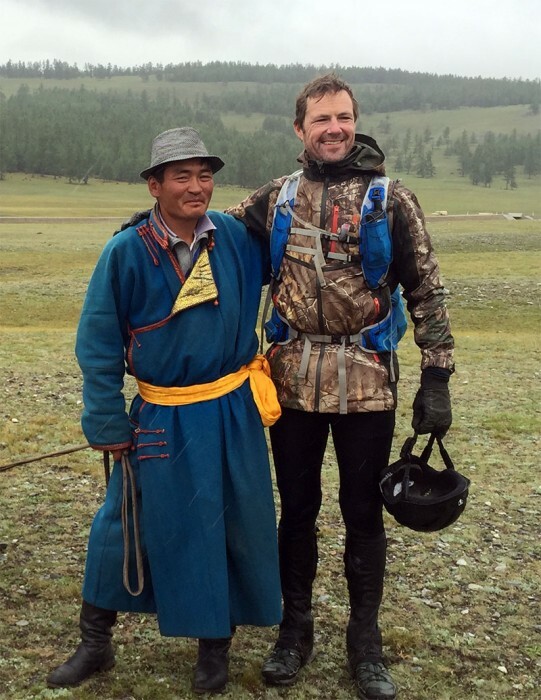 We couldn’t just leave him on top of the mountain in the dark, so I decided to ride him back to camp myself. The Jeep trailed me to light my way through the rocky terrain and down the path into the canyon. At various points I could see eyes in the dark; knowing that wolves populated these mountains made the midnight journey eerie and tense. 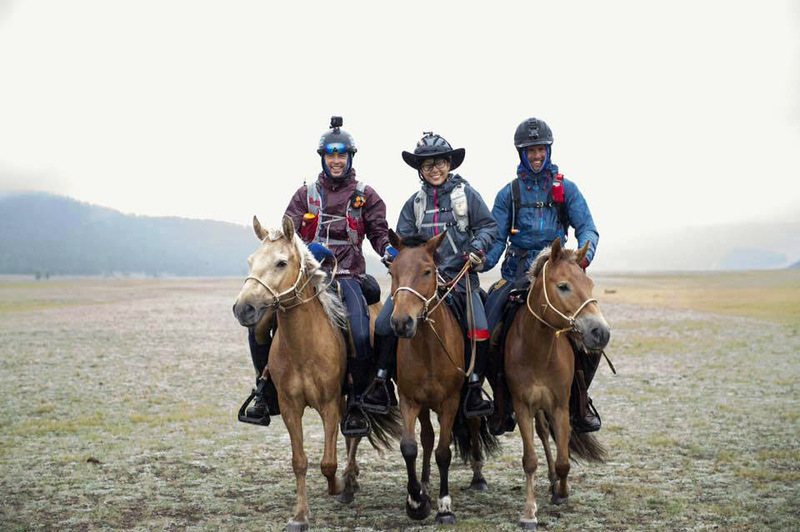 Eventually, we made it back to camp around 2 a.m., horse and humans safe and sound. 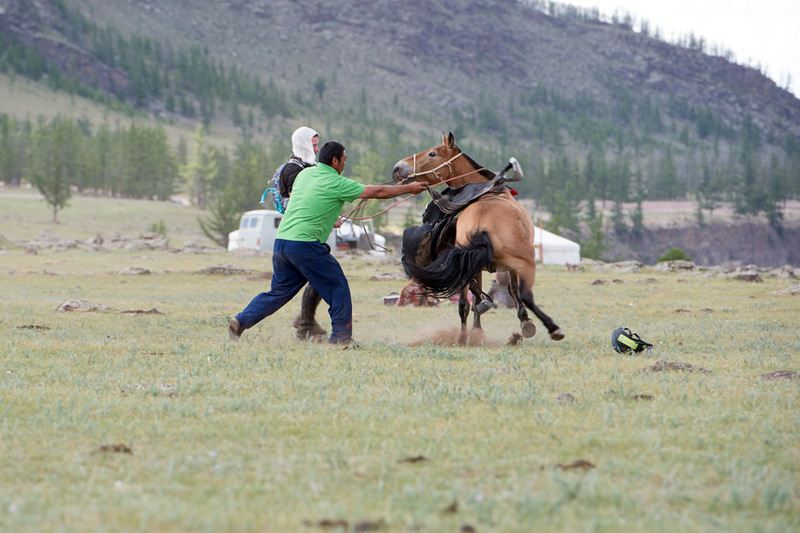 Overall, the Mongol Derby isn’t just a horse race, it’s a constant battle. You’re stripped down and have to force yourself past your limits again and again, far beyond what you thought you were capable of before. You have to let go of control and just be in the moment. When you reach the end with some of the fastest, most intense friendships you will ever make, you pause and think one thing: Did I really just do that!